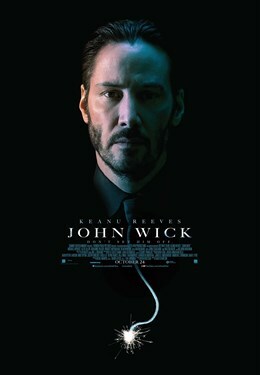 The IMAX release of John Wick will be digitally re-mastered into the image and sound quality of The IMAX Experience® with proprietary IMAX DMR® (Digital Re-mastering) technology. The crystal-clear images coupled with IMAX's customized theatre geometry and powerful digital audio create a unique environment that will make audiences feel as if they are in the movie. From Summit Entertainment and the producer of CLASH OF THE TITANS and THE TOWN comes a tale of adrenaline-fueled revenge and redemption. When a retired hit man is forced back into action by a sadistic young thug, he hunts down his adversaries with the skill and ruthlessness that made him an underworld legend.